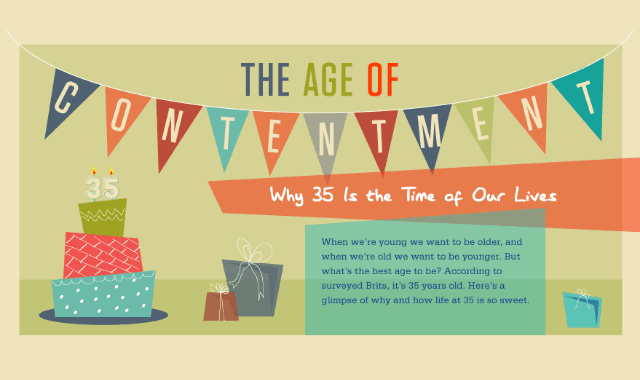 The Age of Contentment: Why 35 is the Time of Our Lives #Infographic ~ Visualistan '+g+"
When we're young we want to be older, and when we're old we want to be younger. But what's the best age to be? According to a life insurance survey on Brits of all ages, it's 35 years old. Here's a glimpse of why and how life at 35 is so sweet.